You can use Velveeta cheese spread in a variety of recipes. Normally purchased off the grocery shelf in a brick form, this processed cheese spread adapts well to many different foods. Not only can it be added to sandwiches, but it can also be melted to create a cheese sauce to pour over other items, such as chili, macaroni or tortilla chips. 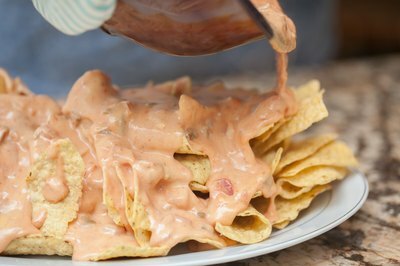 You can also use Velveeta to make nacho cheese sauce to pour over baked tortilla chips for homemade nachos or use it as a dip for a party. 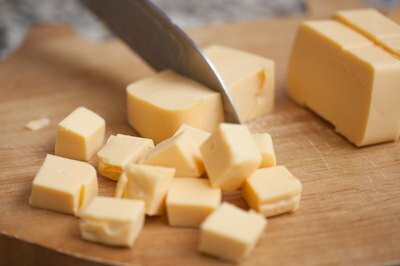 Slice the Velveeta cheese into thick 1-inch sections. Cut those sections into cubes. Put the cubes in a microwave-safe bowl. 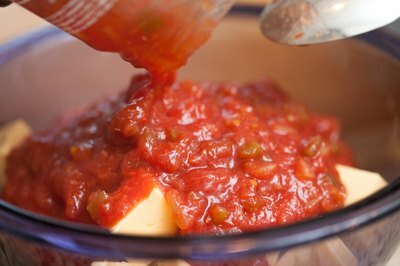 Add a jar of salsa to the bowl and stir. Put the bowl in the microwave. 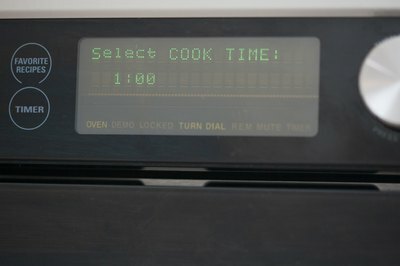 Microwave on high for 1 minute. Stir the mixture and add more time if not fully melted. Remove from microwave. Pour over tortilla chips for nachos. 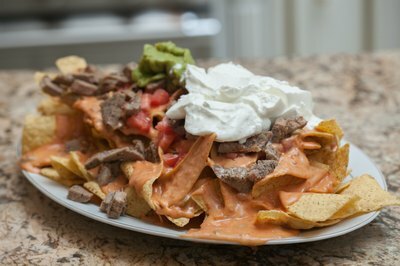 Top with diced tomatoes, slivers of meat, a dollop of sour cream and a scoop of guacamole to create your own supreme nacho snack. 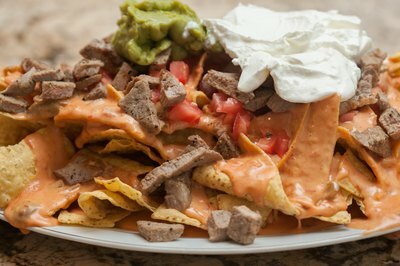 Add refried beans to the tortilla chips before adding nacho cheese sauce for a new flavor.